The Rafu Shimpo today remembers the contributions of the late Jane Imamura to American Buddhism. 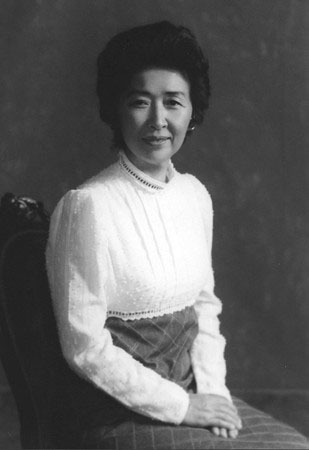 Jane Michiko Imamura is remembered for her warm and compassionate spirit as well as for her numerous contributions to the Berkeley Buddhist Temple, the Buddhist Churches of America, the Honpa Hongwanji Mission of Hawai‘i and the Hawai‘i Kyodan. In addition, she was recognized for her active role in advancing and promoting the study of Shin Buddhism to Westerners. Jane Imamura was also the mother of Rev. Ryo Imamura, a founder of the Buddhist Peace Fellowship. A year ago, I reprinted his response to Tricycle founder Helen Tworkov’s assertion that “Asian-American Buddhists … have not figured prominently in the development of something called American Buddhism.” I hope you will recognize that Jane Imamura’s life was one immersed in the creation and development of the very institutions of American Buddhism that we take for granted today. You can read more at the Rafu Shimpo online. Also check out Jon Kawamoto’s tribute to Jane Imamura, who passed away on December 26, 2011.